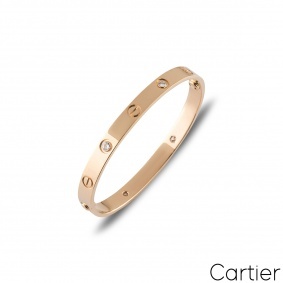 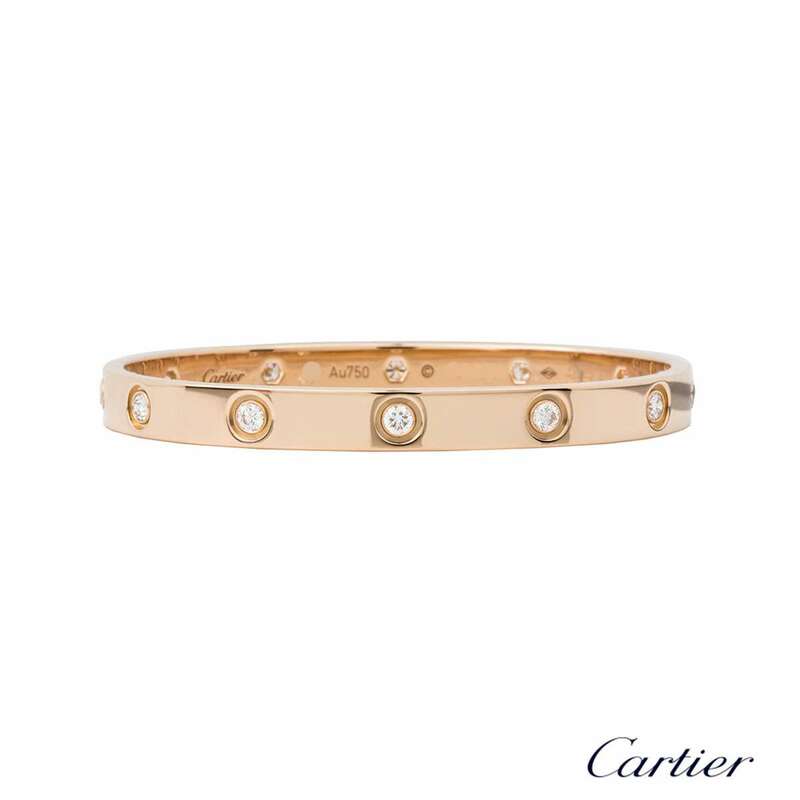 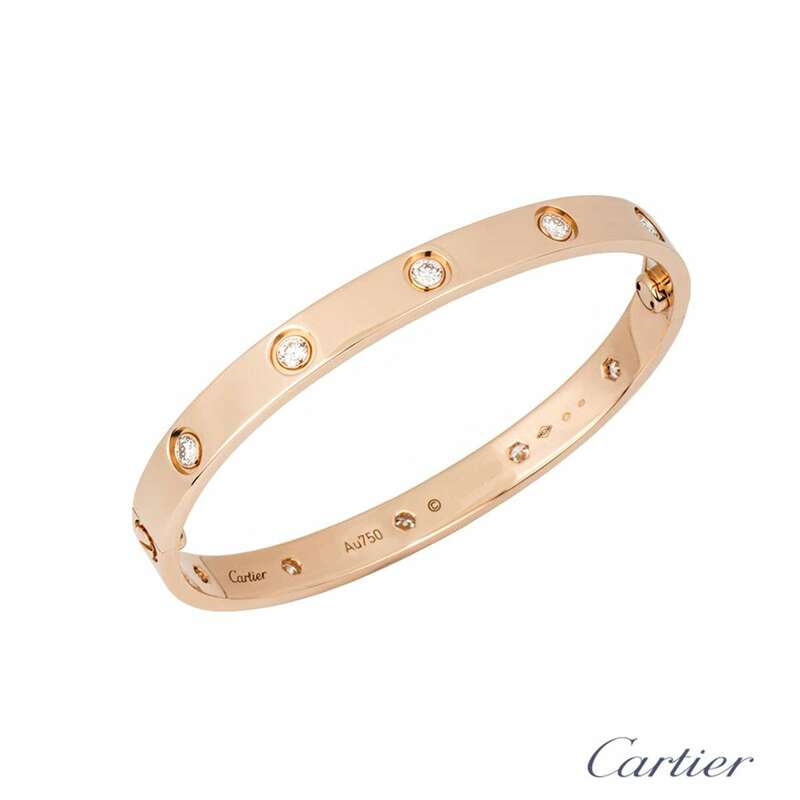 An iconic 18k rose gold full diamond Cartier bracelet from the Love collection. The bracelet is set with 10 round brilliant cut diamonds circulating the outer edge throughout with a weight of 0.96ct. 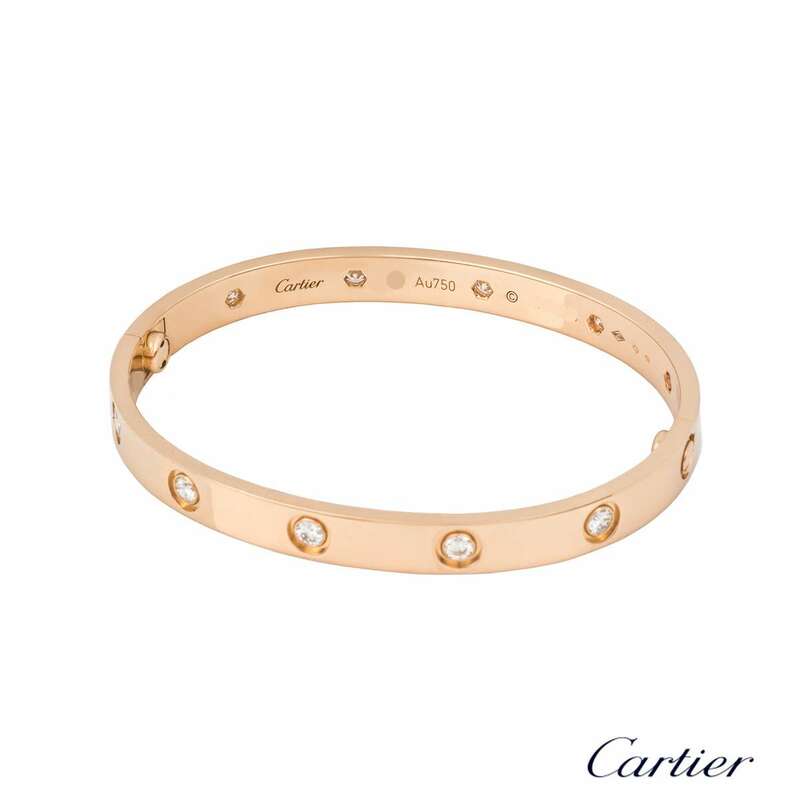 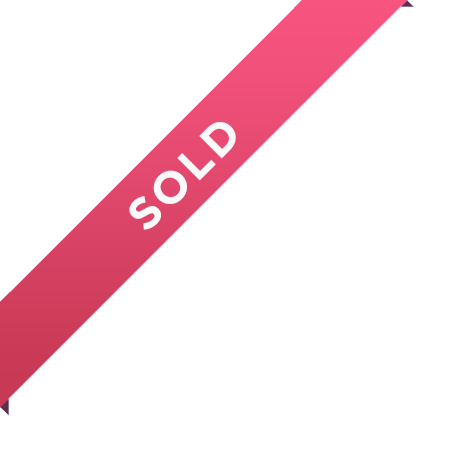 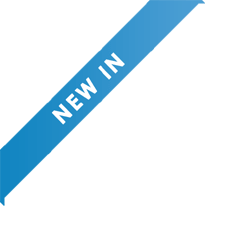 The bangle is a size 16 and features the new style screw fitting and has a gross weight of 27.20 grams. 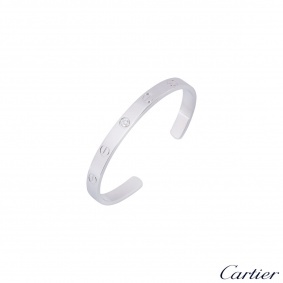 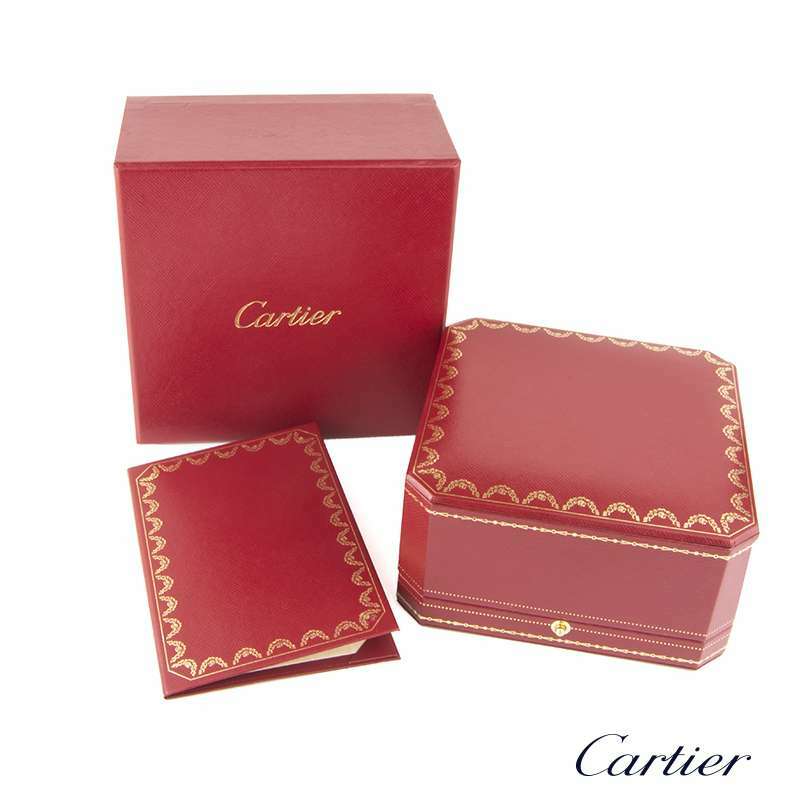 The bracelet comes complete with a Cartier presentation box and Cartier service papers dated March 2013.